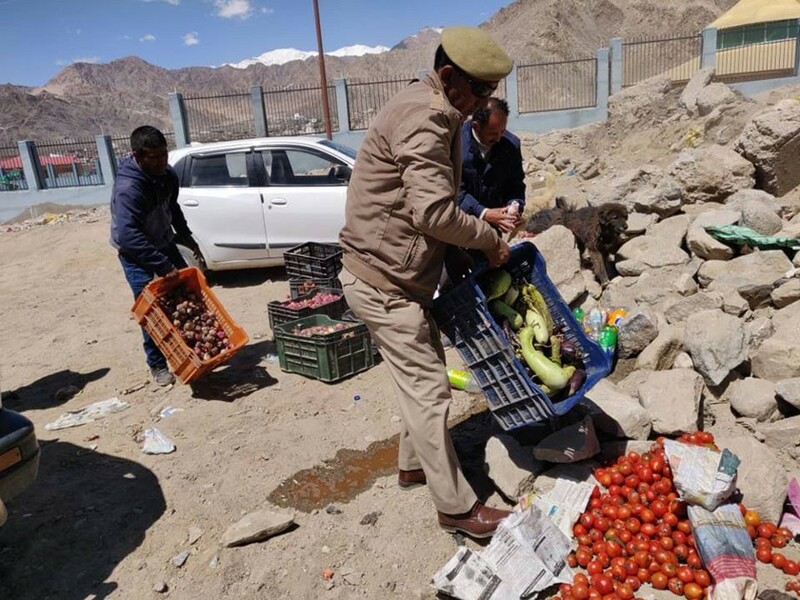 The enforcement team of Food Civil Supplies & Consumer Affairs and District Police Leh inspected shops and vegetable vendors in Skara and Skalzangling area on April 9. The officials seized and destroyed a large quantity of rotten food products, including decayed vegetables, meat products, stale chickens, expired eatables and soft drinks. Fines were imposed upon defaulters for violating the provisions of Food Safety and Standards Act 2006 and Essential Commodities Act.